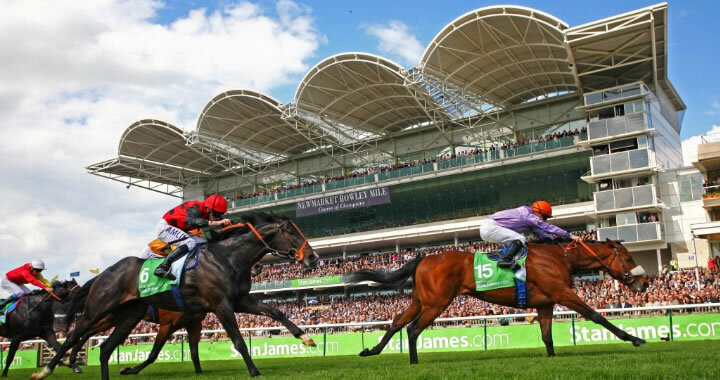 More LIVE ITV horse racing action this midweek as the cameras head to flat racing’s HQ – Newmarket – to take in four races on Tuesday (16th April) and Wednesday (17th April). Several early season Classic pointers to take in over the week with the Nell Gwyn and Craven Stakes both key trials ahead of the 1,000 and 2,000 Guineas run at the track next month. As always, we’ve got it all covered with the key trends, plus our tips on each of the LIVE races. TQ VERDICT: The Kevin Ryan yard took this in 2016 and with the yard also having a decent 26% record at the track then their TOMMY TAYLOR (e/w) gets the nod here. This 5-year-old will be a lot sharper after a recent run at Doncaster (6th of 17), but it was still a solid effort on his return and was only beaten 2 ½ lengths. He’s dropped a pound in the ratings too and ran well on his sole start on the Rowley Mile track. Of the rest, Green Power is sure to be popular with Ryan Moore booked to ride, and he was fourth – two places ahead of the selection – in the same race Tommy Taylor ran in last time. Flavius Titus is another to note from the powerful Roger Varian yard, while with the Ed Walker camp having won this race last year, it’s interesting they’ve two in the race – Desert Doctor and Blackheath – both look to have solid chances too. TQ VERDICT: With a 21% record with his 3 year-olds at the track then John Gosden’s AZANO, with Frankie riding, will catch the eye of punters. This lightly-raced 3 year-old was an easy winner at Yarmouth back in October and wasn’t disgraced last time when a close second in a Group Three at Newbury. This drop back into a handicap looks an interesting move by the yard and with just three career runs should have more scope than most of the others in the race. The Mark Johnston-trained Artic Sound is another to consider and is the only CD winner in the field. He’s the top-rated in the race (110) but as a result has to give weight away all-round. He’s a Group Three winner too, and with four career wins (from 6 runs) then he certainly knows how to get his head in front. Of the rest, the Hannon yard won this in 2011, 2014 and 2018, so their Kuwait Currency will be hoping to uphold that record. Ryan Moore catches the eye riding for Mark Johnston’s other runner in the race, while the Balding horses are going well at the moment so their Shine So Bright can’t be ruled out either. Finally, despite winning this race in 2013, the Richard Fahey yard are just 4 from 63 (6%) with their 3 year-olds at the track – their Space Traveller has this stat to overcome. TQ VERDICT: A race the John Gosden yard have done well in recently – winning the prize in 2015 and 2017 – they run KICK ON here. This 3 year-old is the only proven course winner in the field and wasn’t disgraced last time in the Group One Vertem Futurity Stakes at Donny. He was only beaten 3 ¼ lengths so will find this drop into Listed company a lot easier, plus with another winter on his back can be expected to be a much stronger horse this season. Boerhan, I’ll Have Another and Walkinthesand, who comes from the Hannon yard that won this in 2016, are others to note. The Simcock yard are just 1 from 28 (4%) with their 3 year-olds at the track so their Spanish Mission is overlooked. However, the main challenge to the selection looks to be from the Aidan O’Brien-trained Western Australia. This 3 year-old was three places ahead of King On in that same Donny Group One last season and returned with a close second at Dundalk last month. He’s the top-rated in the field, so sets the standard, but with just one win from seven hasn’t been the easiest to win with. Over this slightly longer trip and with less miles on the clock, I’ll take the Gosden runner to reserve the form. TQ VERDICT: Frankie Dettori has ridden four of the last five winners of this race, but with no ride this year the pocket Italian is giving the others at chance! John Gosden has also landed two of the last three renewals of this race so his Angel’s Hideaway will be popular. She’s the second top-rated in the field but with eight runs is another a tad exposed. She was also beaten by Mot Juste over course and distance in the Oh So Sharp Stakes last October so does have a bit to answer on that score. Main Edition is the top-rated and with Ryan Moore booked to ride this Mark Johnston runner then she’s another that punters will latch onto. He’s 2-from-2 in Group Three’s and has run well in better races since. With 4 wins from her 7 career starts she’s a tough filly that knows how to get the job done – it will be a shock if she’s not in the mix and going very close. However, there might be some better value in siding with last year’s winning trainer – Charlie Appleby, who has a stonking 30% record with this 3 year-olds at the track! He runs two Nashirah and ORCHID STAR (e/w), while even though both have a fair bit to find at the ratings it’s interesting that connections feel they are up to this better race. The former has been running okay over in Dubai, but the lesser-exposed Orchid Star looks the more interesting. She’s only won a couple of AW races at Chelmsford and Newcastle but has got the job done by a combined total of 8 lengths. She’s won over a bit further than this trip too and with just three career runs should certainly have more to come. Of the rest, CD winner – Sunday Star – the Balding-trained Look Around are others with live chances based on their 2 year-old form of last season. TQ VERDICT: With 10 of the last 12 winners drawn in stalls 8 or lower then Naughty Rascal (9), Oberyn Martell (10) and Alfie Solomons (11) have this trend to overcome. In fact, it might pay to know that four of the last five winners actually came from stalls two or six. TOP BREEZE is drawn in stall 6 for the Richard Hughes yard and has done little wrong in winning two of his three AW starts. Yes, this is a step up in grade, but he’s got a very low weight (8-9) and could be interesting. However, the Mark Johnston-trained CHAPELLI is draw in stall 2 and after a solid second last time out at Pontefract should be spot-on for this. That came off a 220 day break so she’ll be much fitter for it, plus the yard took this race in 2012. Of the rest, the consistent Moyassar can also go well and returns to the track having had a wind-op. This 3 year-old is yet to finish out of the top three from his six career runs, but does only have one win from those outings. Ryan Moore has been booked to ride Breath Of Air, and he’s shown a level of form to suggest he can go well too after running third in a Listed race last time at Donny – he sets the standard, but might be a tad over-bet with Moore in the plate. TQ VERDICT: Tough race, with all the 12 runners being newcomers so the market will probably be our best friend here. However, with leading owner Hamdan Al Maktoum having three runners in the race then another pointer here is that his number one retained jockey – Jim Crowley – has picked to ride AL HADEER. This unraced William Haggas runner is clearly held in some regard and the yard also won this race in 2012 and 2016 – Haggas also has Desert Icon in the race. Another Al Maktoum runner – Damlaj – comes from the Owen Burrows team, that won this race last year, so can’t be ruled out – the yard also have a 19% record with their 3 year-olds here. Godolphin have also done well in this race so their Wild Animal is certainly another to note in the market. Other interesting stats are that trainers Ed Dunlop (3%) and Jeremy Noseda (0 from 14) don’t have great records with their 3 year-olds at the track – they run Inspirational and Samba Saravah. For some reason, jockey Jamie Spencer has also struggled a bit when riding 3 year-olds at this venue – he’s just 3 from 60, so will be looking to put that right with Caesonia. TQ VERDICT: A fair renewal and despite not being very original, it’s hard to get away from the winner of the last two runnings of this race – BRANDO. He’s clearly had this prize as a target again this term and although he’s now a 7 year-old, he’s also the top-rated in the field. The 179 daybreak isn’t a worry as he won this race off a lay-off last year and more of the same is expected. The Ryan team have actually won the race four times in the last five runnings too! Yafta, Dreamfield and Gifted Master are all past course winners and are ALL rated 110 so there should be a lot between this trio. They can go well, but they all still have 6lbs to find with the selection if the ratings are anything to go by. Finally, the Charles Hills stable are the only other yard apart from Kevin Ryan to have won this race in the last five years, so his Equilateral can’t be ruled out either – especially with a certain Ryan Moore riding. A recent third at Doncaster would have brought him on, but he’s still got 12lbs to find with last year’s winner. TQ VERDICT: The Richard Hannon yard have by-far the best recent record in this race with four wins from the last seven renewals. They run WATAN here and with Ryan Moore riding then of those at slightly longer prices he can’t be ignored. This will be his first try over a mile, but has won well before over 7f to suggest it’s worth a crack. Trainer Martyn Meade won this in 2017 and he tries again with Confiding, while past course winner – Skardu – from the William Haggas yard looks as though he’s got more to offer. He’s got come fancy entries and won well over 7f here last season. Frankie rides the unbeaten Set Piece for trainer Hugo Palmer, but does have a bit to find on the ratings, but Prince Eiji does have some past form to think he can go well too. Godolphin’ Royal Marine sets the standard based on the ratings (113) and would be a big player on his UAE 2000 Guineas trial fourth in January and his Group One win in France last October. However, the boys in blue of Godolphin also have the well-touted ZAKOUSKI in the race and being as low as 8/1 for the 2,000 Guineas then he’s clearly a horse held in high regard and is the main pick here. He won well on debut at Kempton on the AW over 7f back in November, but has been well-supported in the build-up to this to suggest he’s ready to rumble. Of the rest, the Gay Kelleway yard think a lot of their GLOBAL SPECTRUM (e/w) who heads here 3-from-3. He’s certainly going the right way and won a Group Two in Doh last time out in good fashion. This will be tougher, despite being a Group Three, but it would not be a shock to see him run well at a nice price.